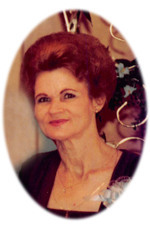 Geraldine Maxum Obituary - Newport, Arkansas | Jackson's Funeral Homes Inc.
"To Justin, he has very fond memories of the holidays. Being at the service toda"
"We will miss you mama! Love u"
"We will always miss her. It was a great pleasure to have her with us. " Mrs. Geraldine (Thompson) Maxum of Cash, Arkansas, departed this life on Tuesday, November 28, 2017 at the age of 81. She was born October 9, 1936 in Weiner, the daughter of Roy and Lucille (Morgan) Thompson. Ms. Maxum retired from Thomas and Bettes, and was a member of Long Creek Baptist Church. Ms. Maxum enjoyed crocheting, quilting, canning, and cooking. She loved children, and had a talent for creating things. Her greatest joy in life came from time spent with her family. She was preceded in death by her husband, Willie C. Maxum; three brothers, J.W., Roy Allen, and Hebert Eugene Thompson; and her parents. 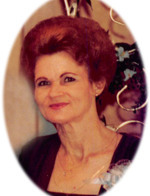 Ms. Maxum is survived by one son, Lyndon Keith Maxum of Cash; one granddaughter, Alana Barker and husband, Brandon of Fisher; two great-grandchildren, Corbin and Claire Barker; one brother, Rayburn Thompson and wife, Mary Beth of Fisher; three sisters, Jolyne Raines of Grubbs, Shirley Hurst of Walnut Ridge, and Carolyn Skaggs of Swifton; and several nieces and nephews. Friends may visit at the funeral home, Thursday, 6:00-8:00 p.m. Graveside services are 10:00 a.m. Friday at Walker Cemetery with Mr. Allen Tennyson officiating. Those honored to serve as pallbearers are Korey Gibson, Scotty Gibson, Brandon Barker, Derek Self, Justin Hurst, Kyle Campbell, Tony Sullins, and Reed Westerman. L. J. Bryant will serve as honorary pallbearer.